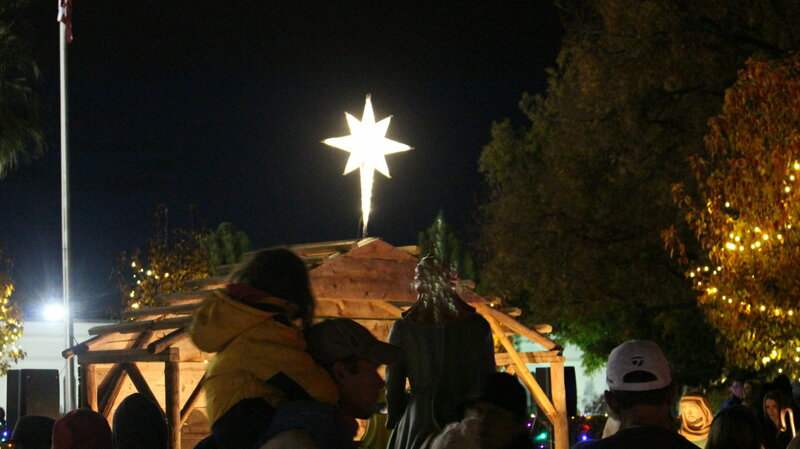 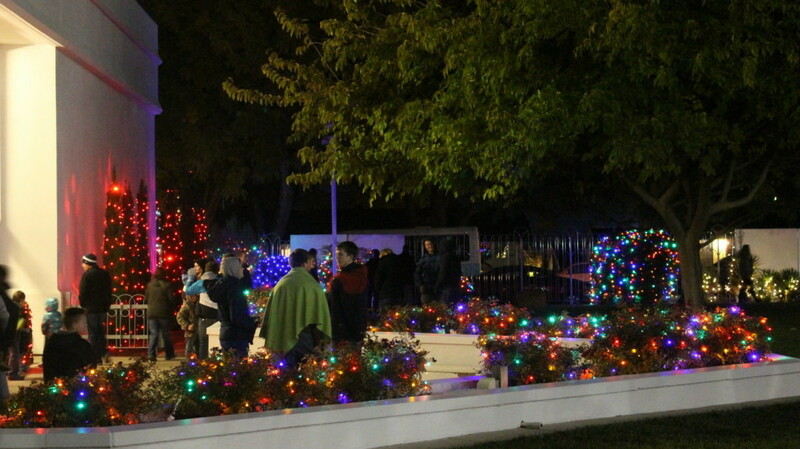 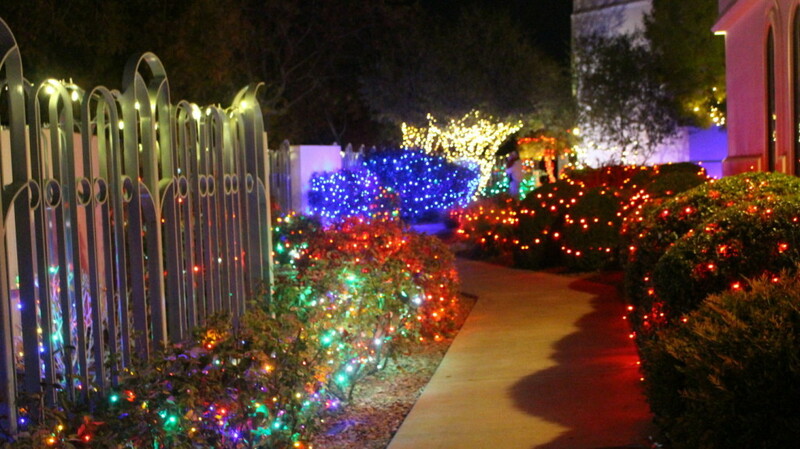 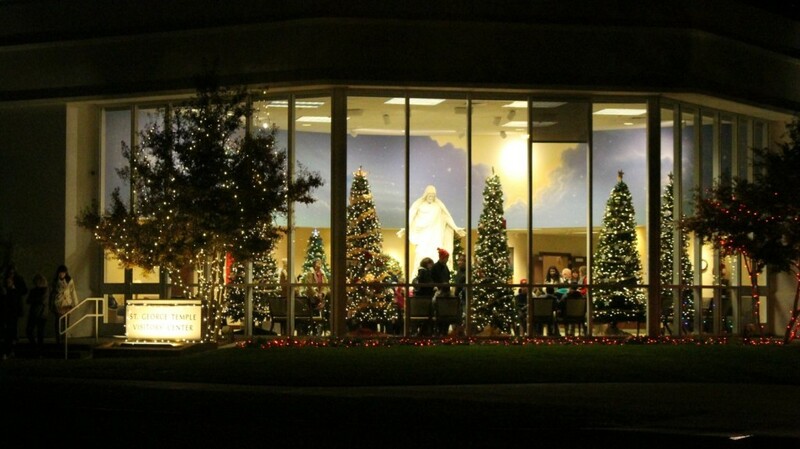 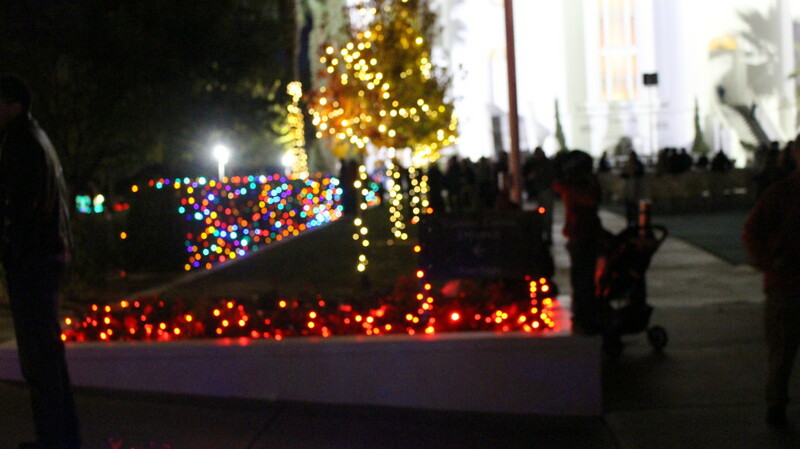 ST. GEORGE – Brisk weather didn’t keep people away from the grounds of the LDS temple in St. George Friday evening for the annual temple lighting ceremony giving advent to the Christmas holiday season. 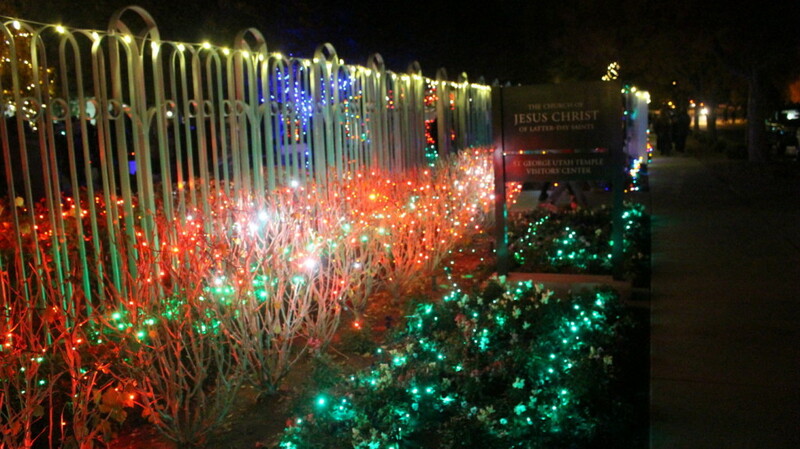 Each Friday after Thanksgiving, while businesses spend the day rolling out deals for the official beginning of the holiday shopping season, The Church of Jesus Christ of Latter-day Saints invites the community to share in a short holiday program featuring the lighting of thousands of Christmas lights on the temple grounds. 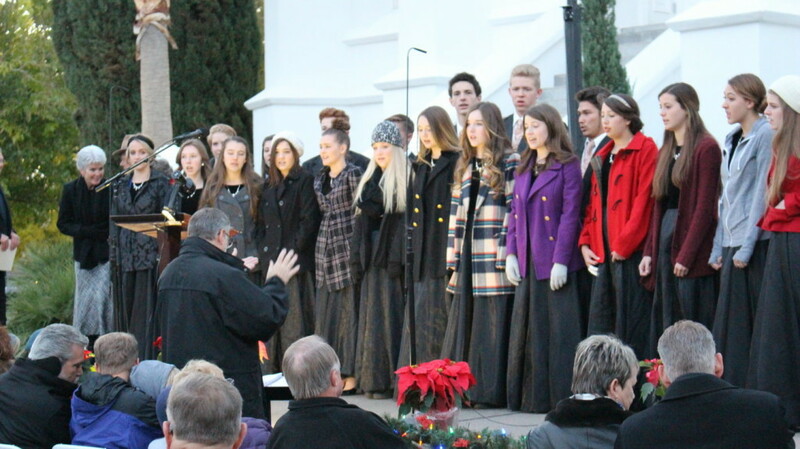 As the crowd assembled, the Snow Canyon High School madrigals began to sing holiday-themed songs and hymns, followed by the official start of the program at 5:30 p.m. with a greeting and a prayer. 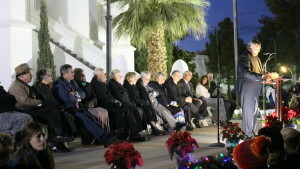 The sun sank behind the horizon as the program got under way and took the temperature with it. However, it didn’t halt the holiday message about to be given. 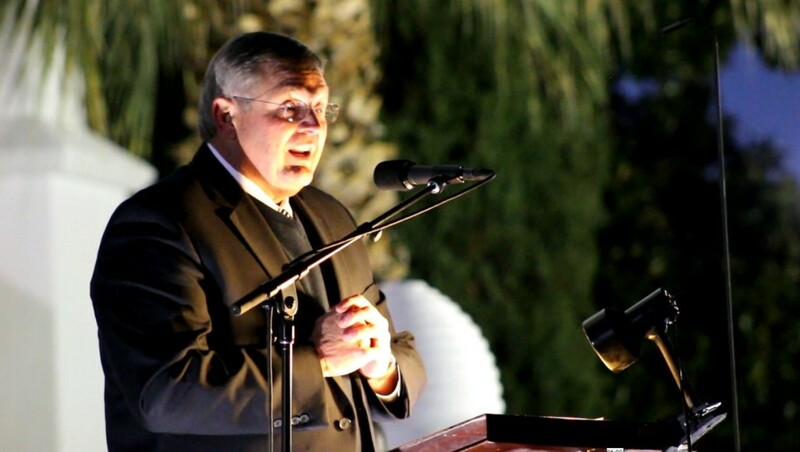 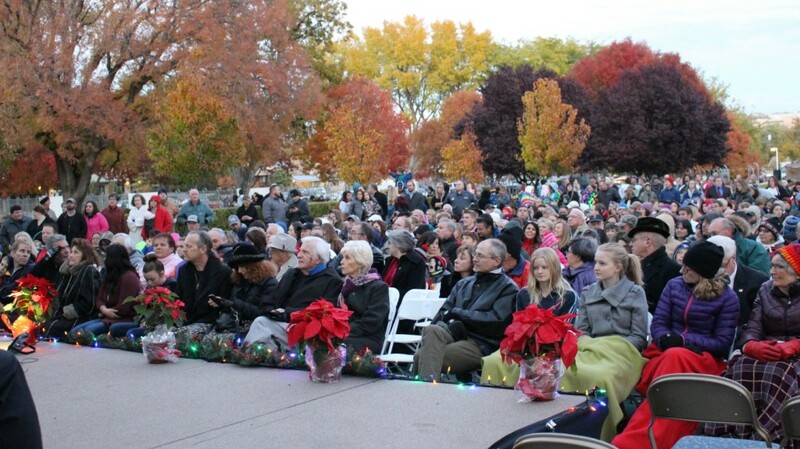 “As we finish leftover turkey in the fridge and the last of the pumpkin pie, we begin the process of preparing for the next holiday – that being Christmas,” said Elder Kevin Ence, an Area Seventy of the LDS Church and the featured speaker at the lighting ceremony. 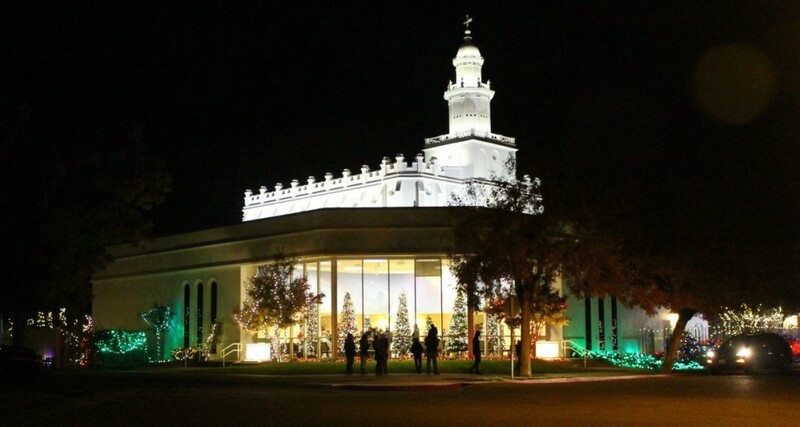 Following Ence’s remarks, the lights across the temple grounds lit up and showered mutlicolored light in areas of the grounds previously claimed in the dark of night. 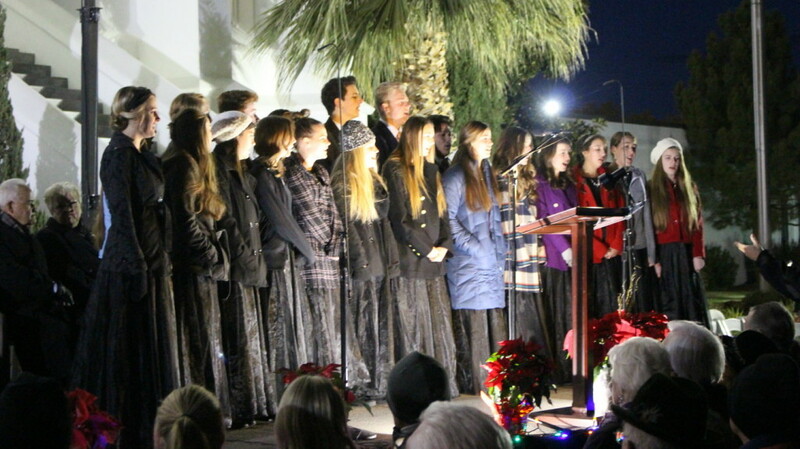 The Snow Canyon High School madrigals finished out the program with “Silent Night,” with their voices being added to during the last verse with those gathered at the event. 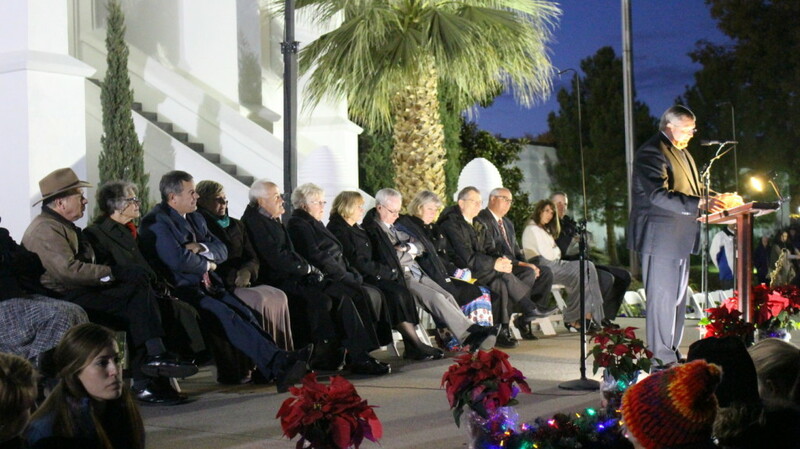 Various municipal and county officials and representatives of the LDS church were present at the event. 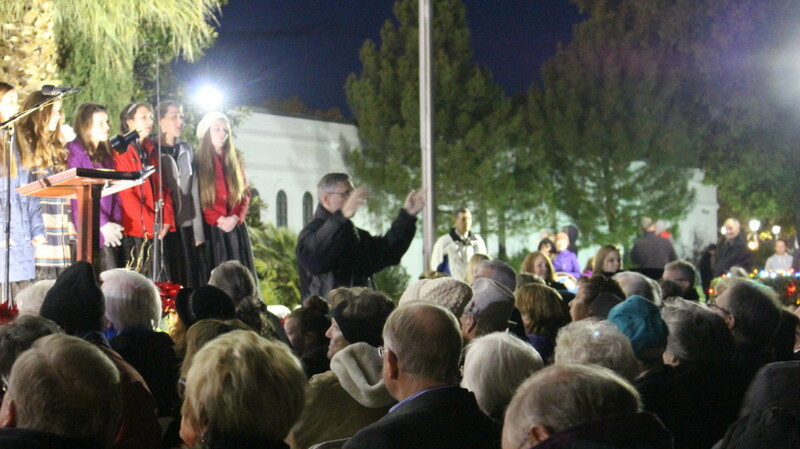 Among the faces in the crowd were St. George Mayor Jon Pike, St. George City Councilman-elect Ed Baca, Washington County Commissioner Zach Renstrom and state Rep. Don Ipson.